When is a holiday not a holiday? When it involves working and studying and throwing yourself head-first into a foreign culture and totally different economic reality. People keep asking me how my ‘holiday’ in Peru went, and look confused when I answer that it was difficult, challenging and one of the hardest things I’ve ever done. ‘But surely it was amazing?’ they ask, and it was but it was also very confronting and exhausting and demoralising at times. I went to Peru for a month of Spanish school and volunteer work in Cusco, to reality-check an idea born of my first trip there, last year, as a tourist. An idea of living and working in Peru in sustainability management, doing something a little more hands-on to make the world a better place. Through a series of logistical dramas and local connections, I also wound up spending the month living like a working class Peruano, which certainly increased the reality value of my experience! I spent a month dreaming of real hot water, cooking facilities, heating and having a place that was hygienically clean! A detailed post on living conditions and the reality most Peruanos face will hopefully be forthcoming, but for now let’s just say it’s not easy, and I was living in relatively cosy conditions compared to many. 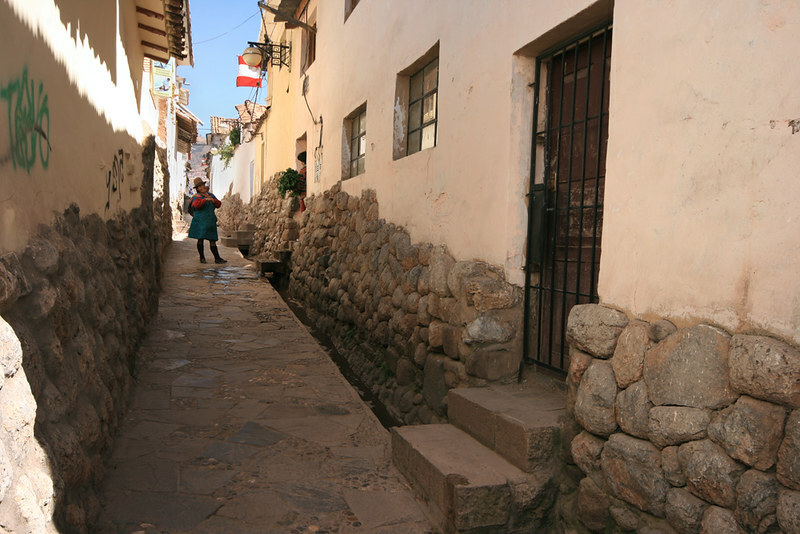 My neighbourhood, just outside of tourist Cusco, on the edge of another world. There’s also a post coming about my volunteer project, and the frustrations, obstacles and immense rewards to be found in working with communities to teach sustainability and environmental management skills and try to create real, meaningful change. I learnt a lot about learned helplessness, poverty tourism, charitable entitlement and the disaster that results when external agencies try to impose their ideas of what help, resources and structures the local community needs. I didn’t achieve anything like what I set out to, but I learnt an awful lot! Of course, spending a month entirely immersed in a foreign culture and a different language is always hard work. My Spanish may be good enough to get by in most day-to-day interactions, but not getting a rest from it was exhausting. For three weeks I started each week day with 4 hours of grammar and conversation lessons before grabbing a quick lunch and spending the afternoon trying to teach gardening and organise resources, all in Spanish. I hadn’t realised how specific the language of gardening was until I started trying to explain basic concepts like soil preparation in a different tongue! Then it was a trip home on the bus, dinner in a local cheap eatery and Spanish homework, perhaps with a catch-up with a Cusqueñan friend thrown in. All Spanish, all day, every day. 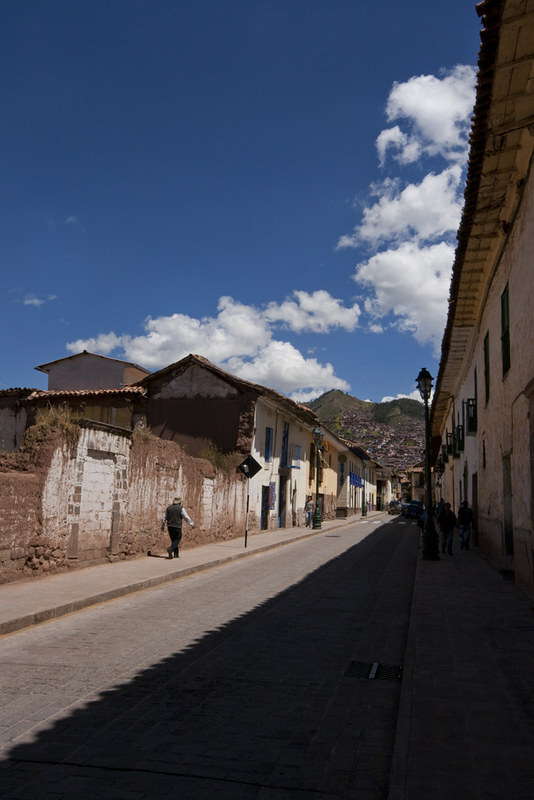 The mish-mash of Spanish and Quechua cultures, of modernity and antiquity give Cusco it’s charm but also pose complex challenges! How do you cultivate sustainable change within a culture that does not value the environment, where the overwhelming majority of people drop their rubbish wherever they are, city, country or internationally-significant heritage area? How do you start the conversation with people who don’t know what ‘environmental’ means, who don’t understand the impacts of pollution and don’t see the problem? How do you talk about the importance of choices when working with people who have been so historically disempowered, and still are under the modern political system, that they don’t believe they can change anything? How do you engage a people so scientifically illiterate and under-educated that they have no basic awareness of the links between environment, pollution, agriculture, nutrition and health? How to you empower people in a political system that is hopelessly, endemically corrupt and self-serving, where there is no social shame in exploiting the poor and the poorly-educated? How do you create awareness and concern for the environment when even those who get it are more concerned about how they’re going to keep feeding themselves or the family, or the dire consequences of speaking out and irritating the wrong person? How do you keep yourself going when you’re completely on your own, in a strange country, a foreign culture, outside of your own language, social networks and support structures? 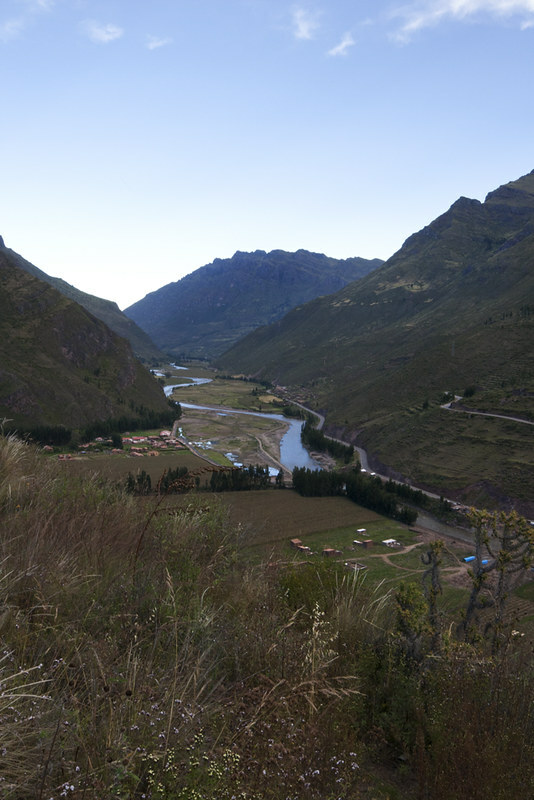 Water quality, water access, de-forestation, soil management, social inequality, absence of infrastructure, corrupt government and the impacts of tourism are just some of the sustainability issues impacting on rural communities in Peru. The moments when I actually worked out how to accomplish something and the feeling of achievement that came with it. The realisations that I’d succeeded in teaching someone something that has the potential to alter their future. The ripples of change as one person’s changed perspective and awareness was passed on to another. The growing understanding of how to work with people, to be a catalyst for change or knowledge they were seeking, rather than imposing my own ideas or methods. Realising that a lesson or experience so small to me as to be insignificant was enough to make a genuine difference to someone there. Ground-testing my ideas and realising that my odd set of skills and experience gives me a distinct advantage in succeeding, so long as I get my Spanish (and then Quechua) up to speed. Meeting an amazing array of people from different backgrounds, cultures and experiences who saw something in me and offered me the gift of belief in my ability to make something of my dream. Beginning to see the ways in which I could actually change things, in small, manageable ways that have the potential to grow and sow real, sustainable improvements. I wasn’t on holidays. I was busy testing everything I believed about the world and my place in it, about fairness, about universal values, about social equality, about the basic goodness of human beings. I was busy learning difficult lessons about who I am, what I can and should tolerate, where my limits are, and how strong and brave I can be. I spent a lot of time reminding myself to be like bamboo: strong yet flexible, bending with the forces around me yet retaining my true shape. I went looking for a way to change the world. I learnt there is no easy way, that what I’m thinking of doing is incredibly hard and challenges me on so many levels. I learnt that more than changing the world I end up changing myself. Yet I also learnt that there is a desperate need for environmental education and advocacy in the developing world, that I have a valuable skill set and that I can make a useful contribution if I play my hand well. I can see opportunities to make a real difference to a handful of lives, and I understand that small changes ripple outwards to become much bigger. I learnt that I have a gift for finding and connecting people, no matter where I am, and that even when I’m feeling worn out, discouraged and full of doubt other people still see a contagious passion and energy in me. I still don’t know if I’m strong enough or brave enough to make a go of it, but I do know that I’m reckless and optimistic enough to try. You should only regret something you haven’t done yet, and I’m sure you will have no regrets 🙂 Sounds like a true challenge, I like the analogy with bamboo; so very true, flexibility is key. Hi Eddy and thanks for the encouraging comment. You’re right, breaking everything down into little jobs and manageable goals is the key. That and being kind to yourself here and there: when I go back I’m getting a place with a small kitchen and real hot water! Wow, a great piece of writing about your experience, I look forward to learning more about it and reading your ideas. Love that photo of you! Hey, thank you! It was certainly a very different experience than I would have had if I’d gone treating it as a holiday. I’d probably have enjoyed myself more but learnt a lot less! Now I feel prepared to go back for a longer stay.